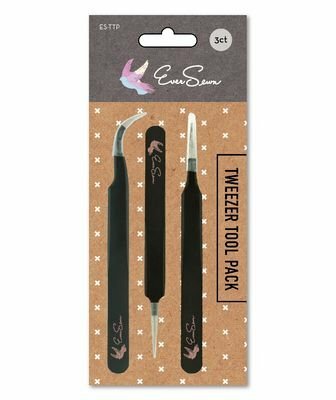 This 3 piece tweezer tool pack contains one each of 4-1/2in Reverse Action Tweezers All Purpose Tweezers and Precision Tip Tweezers. Perfect for removing unwanted thread and ripping out basting stitches. Good for holding glueing and positioning.